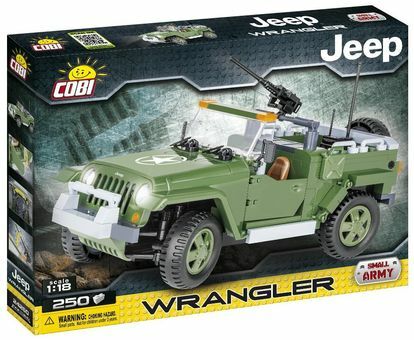 COBI is proud to present the JEEP Wrangler Contemporary Military version of America’s off-road cult classic. It’s a follower of the JEEP Willy's best known from World War II. This unique block model is presented in authentic 1:18 scale. The model has doors that open, turning wheels and a machine gun that can be moved up and down.